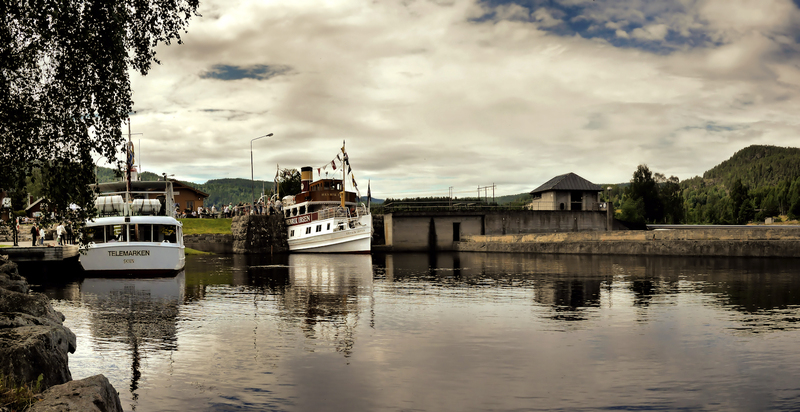 Jack's Photo & Travelblog: Henrik Ibsen in the Telemark Canal, Norway. 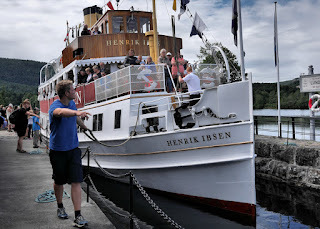 Henrik Ibsen in the Telemark Canal, Norway. What a place a canal going form the coast of Oslofjord and inland to some fine valleys in Telemark. Here the tourship Henrik Ibsen is just coming out of the lock at Lunde. Below find a photo of the ship in the canal lock.